Let's face it, while new and cool, the hole-in-display design is being done a bit of a disservice by its flag-bearer, the Galaxy A8s. 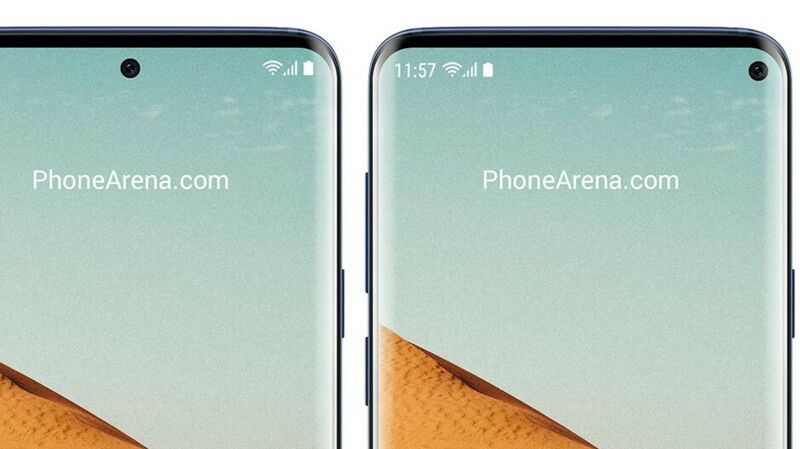 While the concept is undeniably a unique take on the quest for an "all-screen" phone, the A8s opening, in particular, seems rather large and eyesore-ish. An alleged Galaxy S10 screen protector leak, however, indicates that Samsung's upcoming flagship may sport a much smaller and more elegant-looking hole than the A8s pioneer. The left-hand one on the A8s is evidently way larger than the smaller hole on the top right of the eventual Galaxy S10 display cover. One of the reasons could be that making a Hole In Active Area (HIAA) design that Samsung calls Infinity-O with an LCD display, is more of a challenge. To pierce a laser-induced hole there to fit the front-facing camera is reportedly harder because of the extra backlighting that LCDs have which OLEDs don't need. Still, an LCD panel itself is apparently much cheaper to produce which explains why we are having the hole-in-display design first on midrangers like the A8s and the just-announced Huawei Nova 4, both with LCD screens. That last one's hole is also larger than what we see on the protector, so we keep our hopes high that this approach to the "all-screen" design will look much svelter when it is done on an OLED phone like the Galaxy S10. Remember guys come September Apple did this first! Call it innovation! By September this year nobody is going to want apples same phone , bigger price phone. News flash 2019 apples iphones exactly the same, much higher price. Why not make that bezel .25mm thicker and put the camera there?? ?